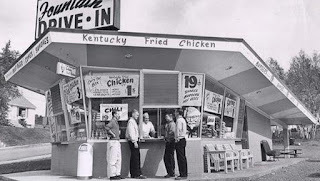 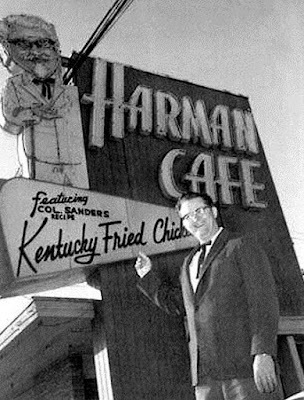 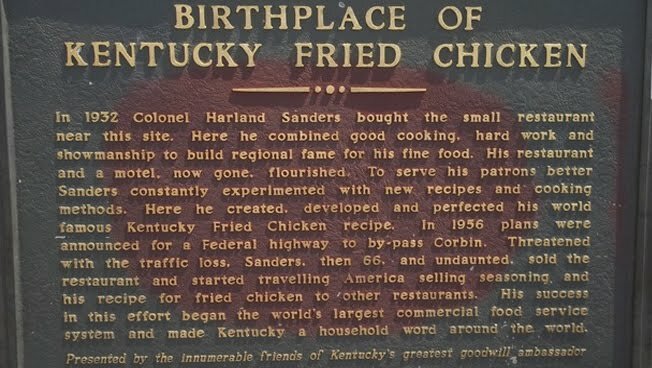 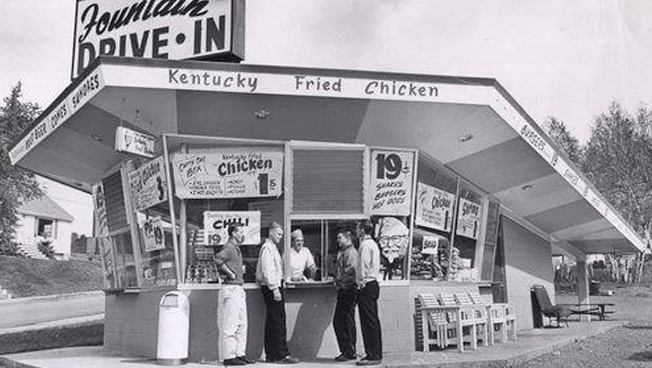 Harman hired a sign writer named Don Anderson to work on the first restaurant, who coined the name "Kentucky Fried Chicken" creating a good product differentiator (being chicken) and a vision of southern hospitality for the brand. 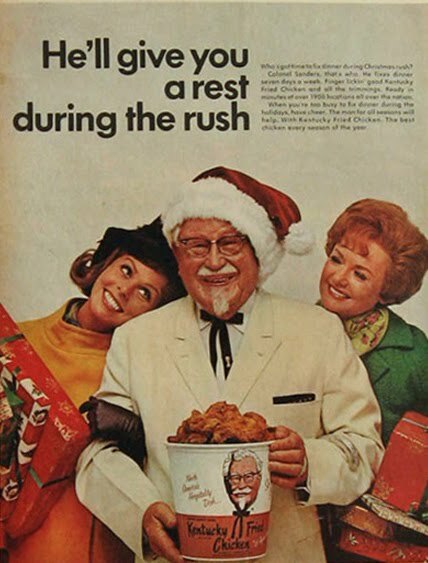 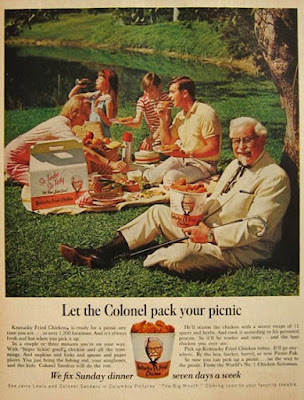 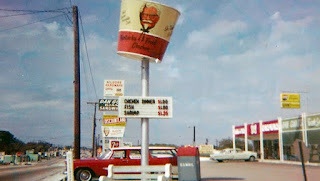 Harman also introduced the "bucket meal" and trademarked the phrase "Its finger Lickin' good", which over time have both played an important role within the companies identity and advertising. 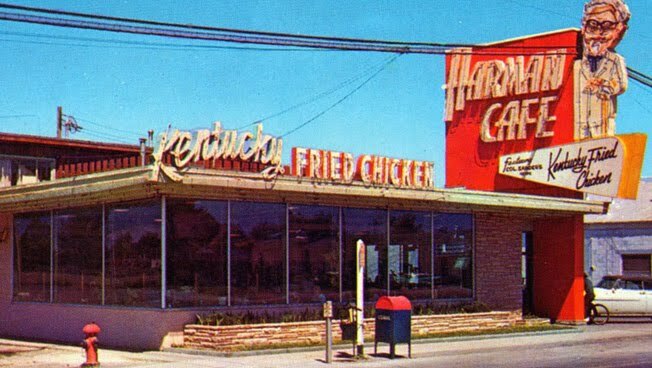 With my interest in branding, packaging and 1950's Americana, I was very keen to visit when I passed though Salt Lake city back in 2002. 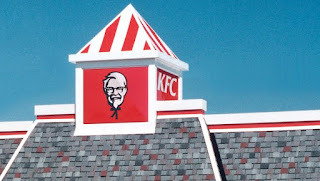 Today KFC is the second largest restaurant chain with 18,875 outlets worldwide. 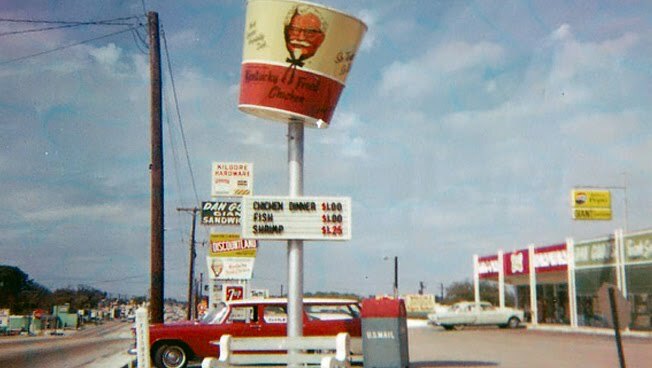 Only McDonalds has more! 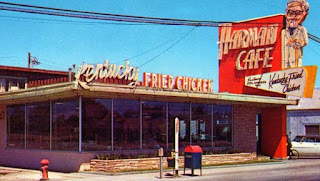 So whether you like the food or not, thats an incredible business achievement and an interesting piece of history. 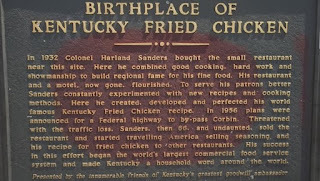 Harland even branded himself as Colonel Sanders and became a prominent figure in American history. 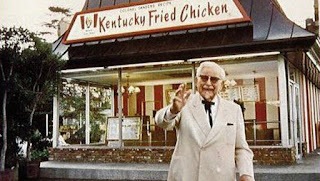 KFC diversified the fast food market and challenged the popular hamburger. 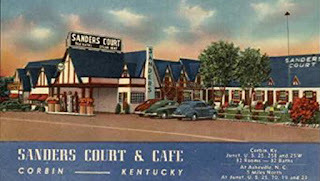 Saunders sold the business to a group of investors in 1964. 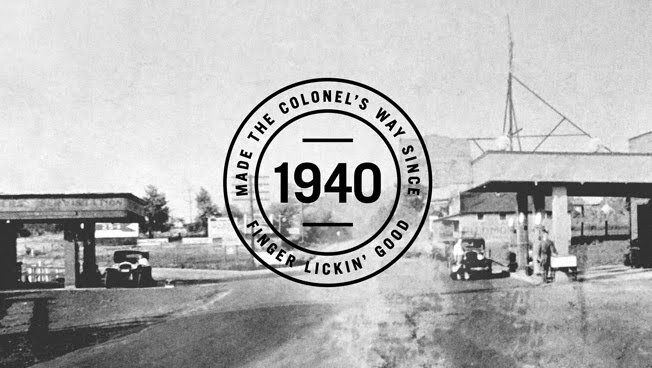 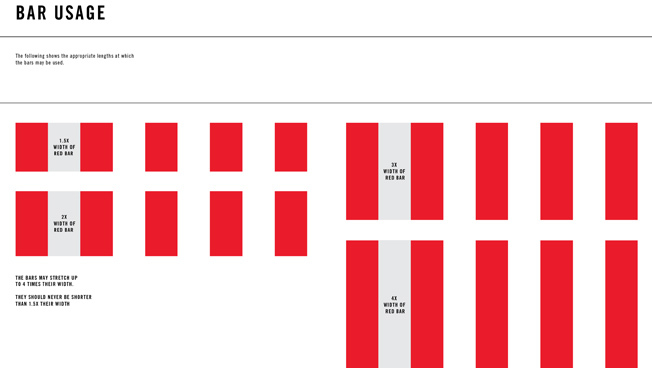 Last year KFC began using ad agency Wieden + Kennedy. 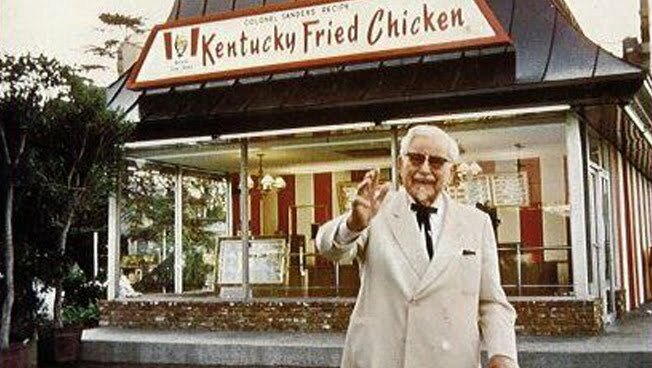 The agency hired Darrell Hammond of "Saturday Night Live" fame to play KFC's founder Colonel Sanders, who would once again become the centrepiece to all brand and marketing. 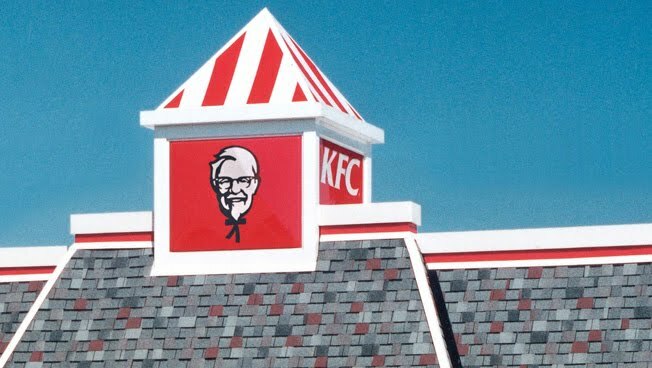 This move back to a more traditional vision for "Kentucky Fried Chicken" has been reinforced further by the recent brand and packaging re-design by New York agency Grand Army, who have brought back the famous stark red colour bars and a minimal black and white illustration of the colonel. 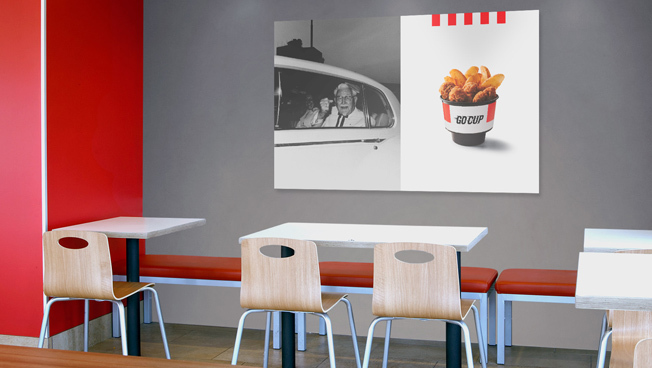 This new look brilliantly recreates the nostalgia of the past, yet still maintains a connection to the recent looking image. 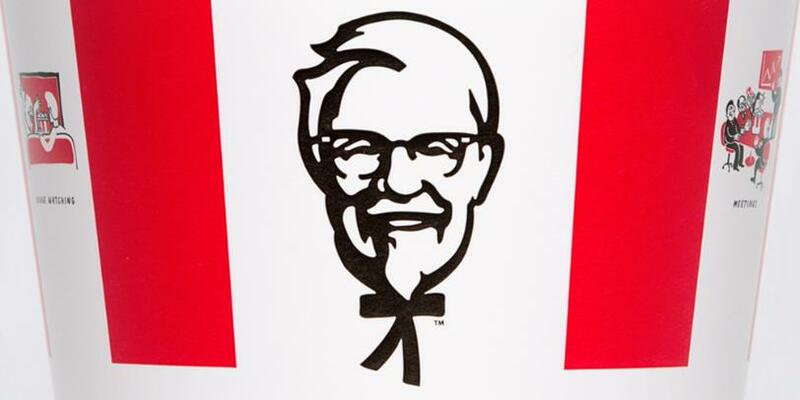 The only criticisms of the redesign I have heard is that the logo does have a tendency to look a little like a stick figure with a large Colonel Sanders head. 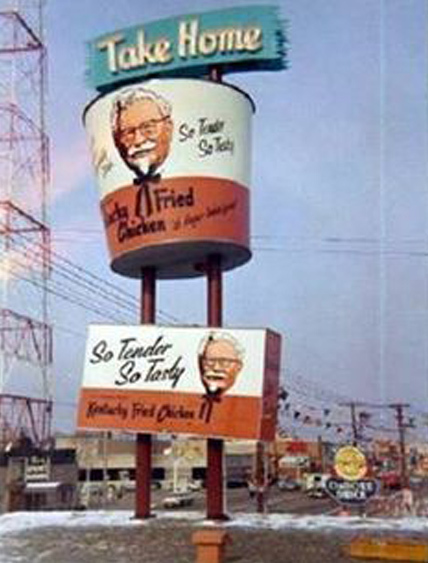 I will let you be the judge on that one!!! 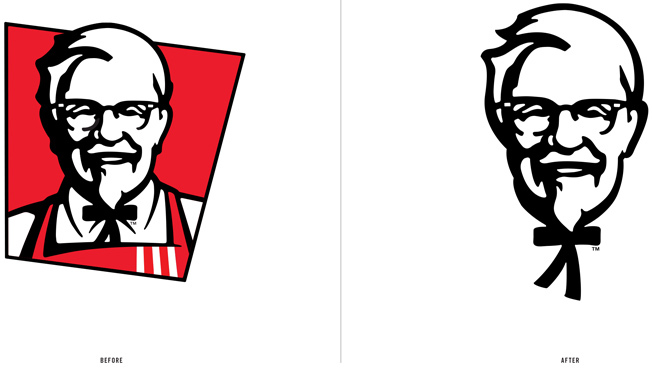 The brand move on is a great example of how a visual change can help your business look somehow more genuine and homemade. 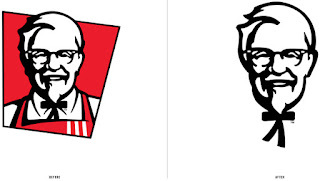 I for one love what's been done for this re brand by Grand Army. 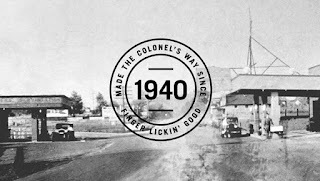 Bringing back some of the companies vintage aesthetic into it's future vision is my kind of design! 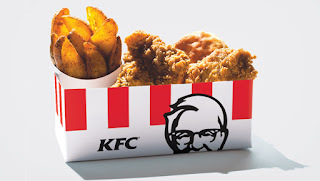 Well thought out and for me a lot more of a timeless solution, proving further that its often that intellectual extraction and what you don't put in to a design that can often make it a success and easier for the consumer to connect with.